Yesterday we had friends visit for lunch who had never been to our lake house before. The first thing one of them said after admiring the view was, “Wow! What a great place for reading.” She’s absolutely right — there’s no better place for reading than sitting outside on a beautiful summer day with the lake and mountains in the background. There are always plenty of other things to do, especially when the sun is shining, but we all treasure our reading time. 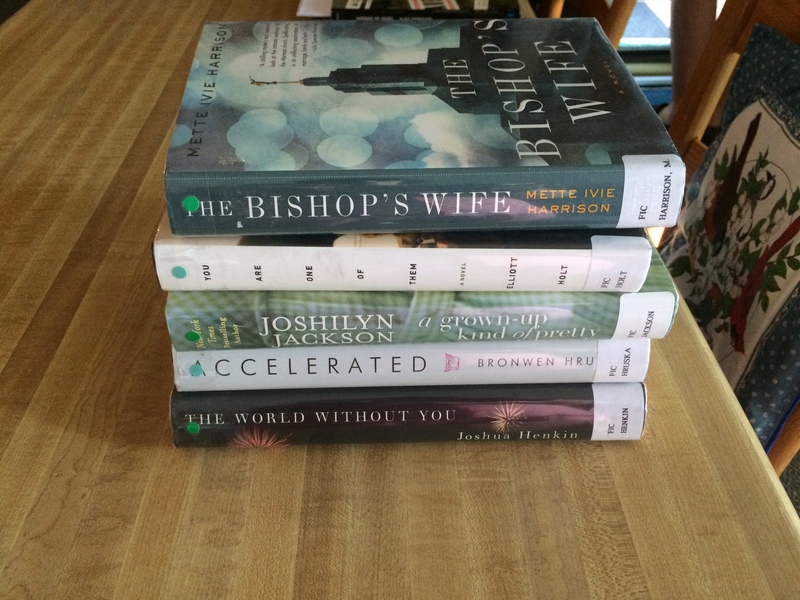 I just finished reading several books that are perfect for summer reading. 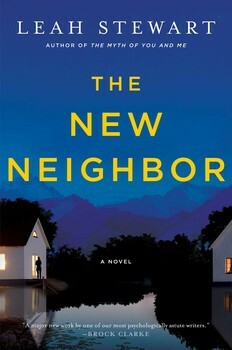 My colleague Di recommended Leah Stewart’s The New Neighbor, a terrific page-turner about two lonely women in Sewanee, Tennessee who are both hiding painful secrets. 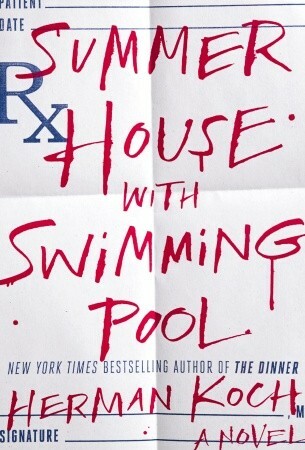 Jennifer Young and her 4-year-old son move in near 91-year-old retired nurse Margaret Riley, and Margaret soon becomes obsessed with digging into Jennifer’s past. The New York Times says “Both women, whom we come to know in great depth, are guarding secrets and neither can afford to make friends . . . Stewart never relaxes her tight focus on these complex characters.” Stewart based the novel in part on her grandmother’s experiences as a World War II battlefield nurse. We Never Asked for Wings, by Vanessa Diffenbaugh (out in hardcover yesterday) is, like Diffenbaugh’s The Language of Flowers, the story of a young woman in crisis. When Letty Espinosa’s parents return to their native Mexico, Letty must finally grow up and become a parent to her teenage son, Alex, and six-year-old daughter, Luna. Diffenbaugh does a wonderful job creating vivid and sympathetic characters. I was particularly drawn to Alex, who has always regarded his mother as more of an older sister than as an authority figure. 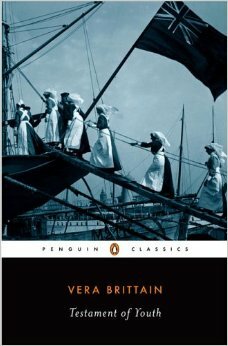 I passed the novel along to my mother, who enjoyed it as much as I did. 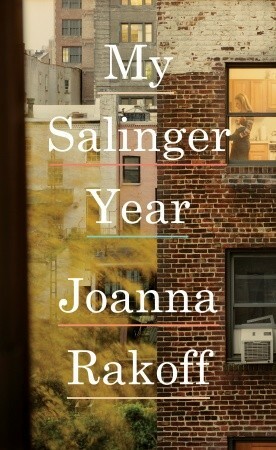 I liked The Language of Flowers very much, so I was nervous when I started reading her sophomore book. 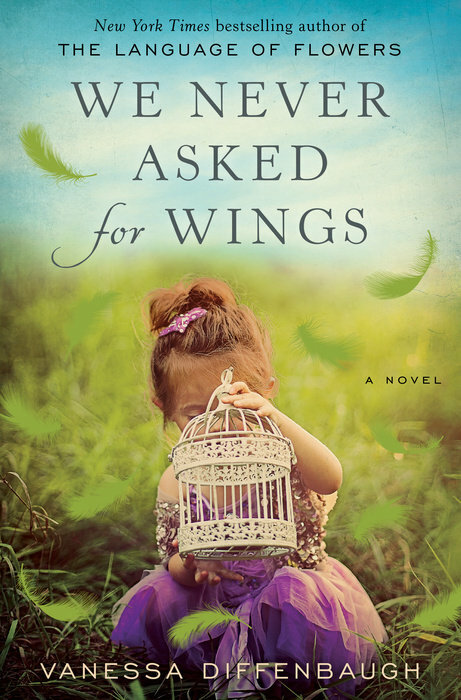 Surprisingly, I liked We Never Asked for Wings even more — it’s more true-to-life, with none of the magical realism that made The Language of Flowers a less-than-perfect book for me. Vanessa Diffenbaugh will be visiting Lake Forest for an author luncheon next week, and I’m looking forward to meeting her and asking her a few questions. Maybe some people don’t find nonfiction books about war appropriate summer reading, but Jeff and I do! 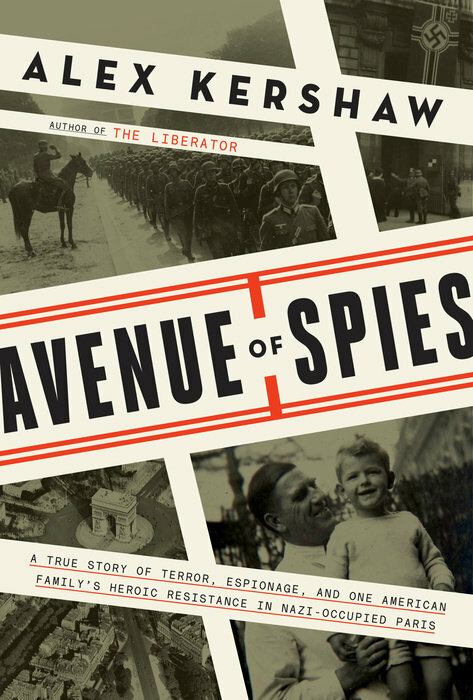 I am fascinated by the French Resistance, and Alex Kershaw’s Avenue of Spies: A True Story of Terror, Espionage, and One American Family’s Heroic Resistance in Nazi-Occupied Paris is a worthy addition to my collection of World War II books. It’s not on a par with In the Garden of Beasts, by Erik Larson, but it’s a similar story: an American family, living in occupied Paris, shows unusual courage in the direst of circumstances. American physician Sumner Jackson, his Swiss wife, Toquette, and their son, Phillip, are given the opportunity to leave France when the French surrender is imminent, but they elect to stay and join the Resistance — while living almost next door to the Parisian headquarters of the Gestapo. Jeff is delving deeply into World War I, thoroughly absorbed in Catastrophe 1914: Europe Goes to War, by British military historian Max Hastings. We heard the author speak at an event last year, and Jeff is finally getting to the book, which the New York Times calls “a highly readable narrative that should — but won’t — be the last word on the subject.” He also recently read Testament of Youth, which is author Vera Brittain’s memoir of her experiences as a nurse during World War I that led her to pacifism, political activism, and a writing career. It’s a little embarrassing that Jeff has finished the book and I have just started it, because it’s my book group’s August selection. 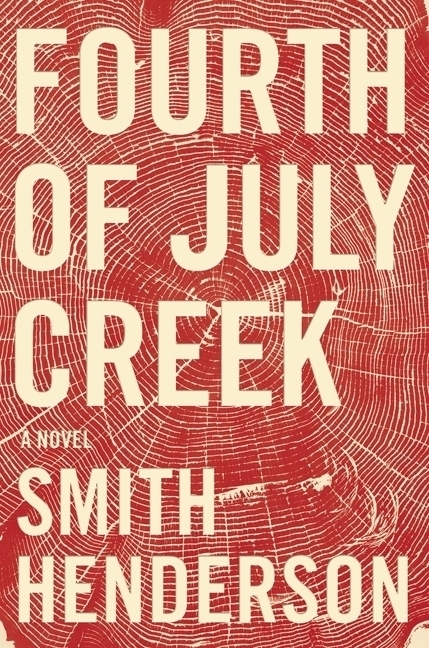 Inspired by the story of Samantha Smith, the American schoolgirl who wrote to the Soviet premier Yuri Andropov in 1982, and asked if he intended to start a nuclear war, has the momentum of a mystery but is, more essentially, a consideration of how we are haunted by loss . . . 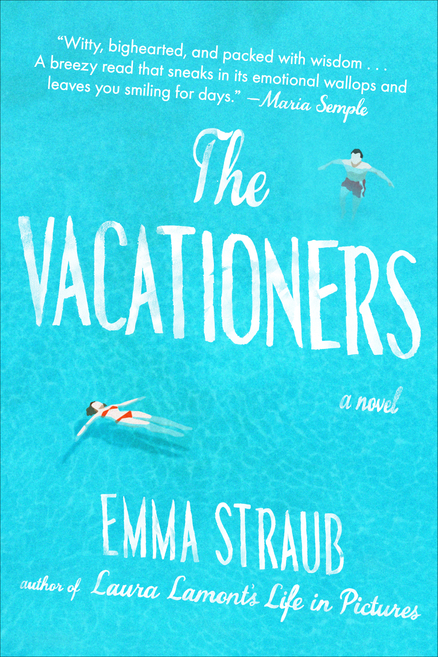 The main thing, though, is that You Are One of Them is a hugely absorbing first novel from a writer with a fluid, vivid style and a rare knack for balancing the pleasure of entertainment with the deeper gratification of insight. More, please. 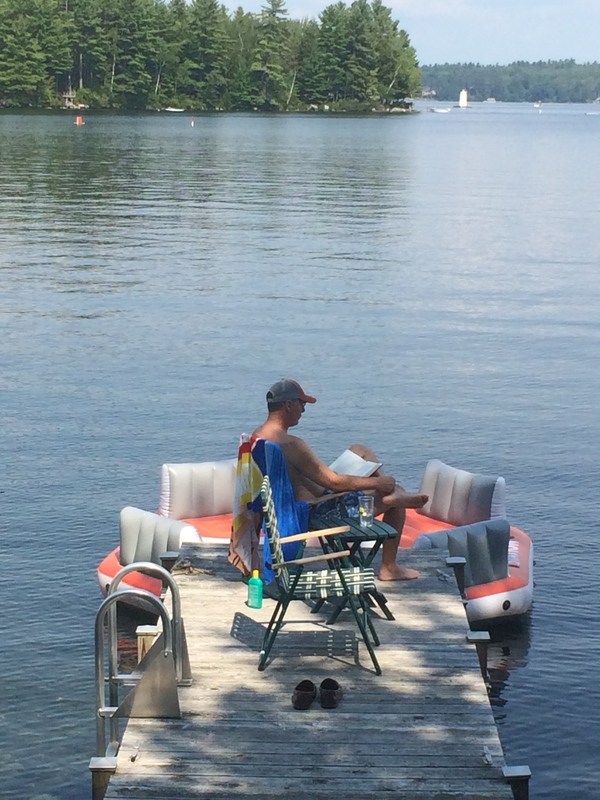 I just emailed the bookstore to order a paperback copy of You Are One of Them — I find that library books and lakeside reading don’t mix well I’ve already managed to drop one book in the water and spill coffee an another. Some of my mother’s books go back to the library unfinished. My mother feels, and I agree, that you can usually tell after a few pages if a book is worth reading. Isn’t that the best thing about libraries? You haven’t invested anything in the book so there’s no pressure to finish. And the worst thing is that you have to take care of the books . . . Yesterday I saw a sight that warmed my heart. A little boy, on his way home from our local library, just couldn’t wait to read one of the books he’d just checked out. He meandered along the sidewalk, once nearly bumping into a tree, while reading one of his books. I don’t know what book captured his attention, but I’m pretty sure it wasn’t one of the books on a required summer reading list. I remember riding my Schwinn Hollywood home from the library, the basket piled with books. Some were books I’d read before, some were below my reading level, some were what is now called “inappropriate”; very few were the kinds of books teachers would be likely to assign. If I didn’t like a book, I didn’t finish it. If I liked it a lot, I’d read it again. No one paid any attention, as far as I could tell, to what I read. The school didn’t send home a list of books that were required summer reading. Summer provides a wonderful opportunity for nurturing self-directed learning experiences, but it is equally important to give students more structured activities that keep them from losing ground over the long break from school. This summer’s reading requirements closely align to the English Language Arts Curriculum so that students are prepared to jump right into their first unit of study. Below you will find an overview of the summer reading program with directions explaining how to access the reading list and assignments. The assigned fiction title will prepare students for their first unit of study in English Language Arts. Each grade has one specific novel and an accompanying assignment. No substitutions will be accepted. Grade six has an additional link to a teacher model of the assignment. Remember that the fiction title and assignment are on the same document, and is accessed the same way, as nonfiction. Pretty grim . . . doesn’t exactly make you want to pick up a book, or even “nurture a self-directed learning experience”, does it? (And by the way, what is “English Language Arts”? Maybe the school couldn’t decide whether to call the subject “English” or “Language Arts”, so they came up with this weird compromise?) When I reviewed the “assigned fiction titles”, I was very glad I wasn’t entering fifth grade, because I would have been forced to read Avi’s Something Upstairs (published in 1988), a horror story about a boy who discovers a ghost. 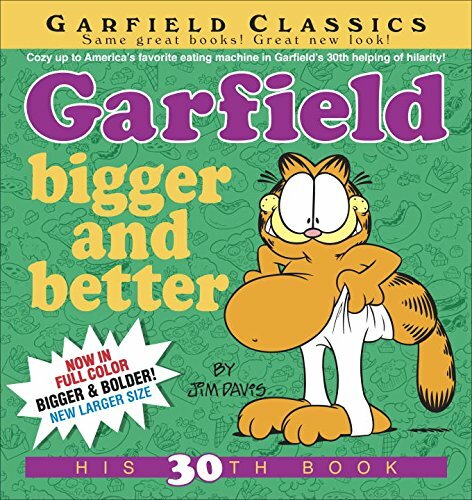 I hated those types of books when I was 10, and guess what — I still do. I did enjoy S.E. Hinton’s The Outsiders (published in 1967) when I read it in the early 1970s, but it seems like an odd, dated choice for today’s seventh graders. The school district in the town where our bookstore is located has a slightly more upbeat attitude toward summer reading. I say “slightly” because the school refers to summer reading as a “task”. What was the last “task” you enjoyed? Warning parents that “while the summer months are a wonderful opportunity for fun and relaxation, the break from the rigors of school can cause a lag in learning”, the school does acknowledge that an additional goal is “to foster and encourage a lifelong habit of reading — for pleasure as well as knowledge — in our students.” I wonder how many eighth graders will find reading And Then There Were None, by Agatha Christie, to be a pleasure. A few will, I’m sure, but the school has required students to read this book for many years and I don’t think I’ve ever had a child come back to the store and ask for more Agatha Christie books. 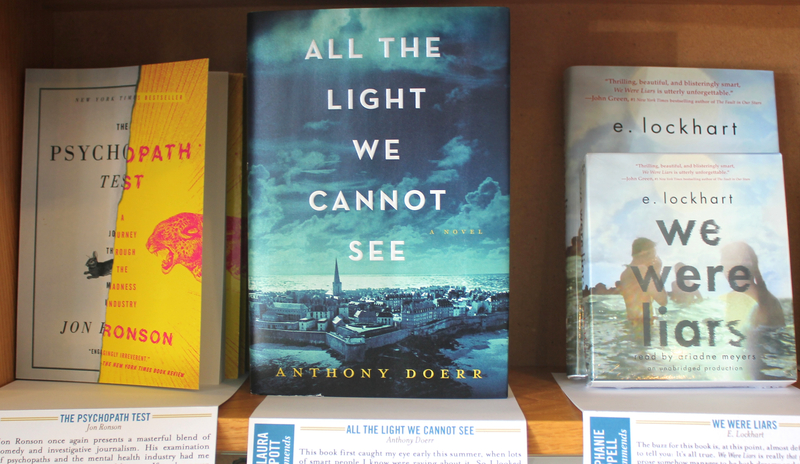 For your summer reading, we’d like you to read 2 – 3 books of various genres that focus on the themes of hope or gratitude. Look for books where the characters may have overcome struggles or where, despite the conflict within the book, it has a “happy ending”; you believe the characters will be OK. I suppose almost any book could fit this description, especially since the school mentions Anne Frank’s The Diary of a Young Girl as an example of a book that focuses on optimism. (News flash: the “characters” were not OK.) If an important goal is to develop a love of reading, wouldn’t it be better to ask children to read a few books — on any subject and on any reading level — and tell why they liked these books? Anything, from graphic novels/comics to series books to sports biographies, would be fair game. The only requirement would be that kids find something to read that they enjoy. Is that an unrealistic idea? Schools are understandably concerned about students losing ground over the long summer vacation. Our school website says: “Research demonstrates that students must read at least three challenging books during the summer break simply to maintain fluency and comprehension skills; a minimum of five such books is necessary to improve on any reading weaknesses.” But what is the cost of forcing children to read books they don’t enjoy? 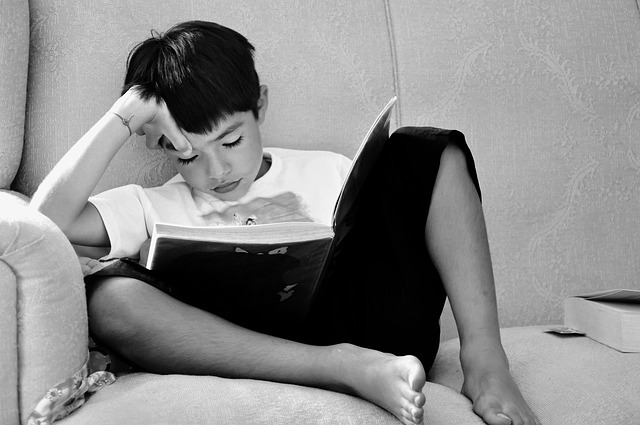 What good is “fluency and comprehension” if children don’t want to read? I’m curious to hear what teachers and parents of school-aged children think. I’m on vacation this week, so I thought I’d share a post from one of my favorite blogs, Musing: A Laid-Back Lit Journal. 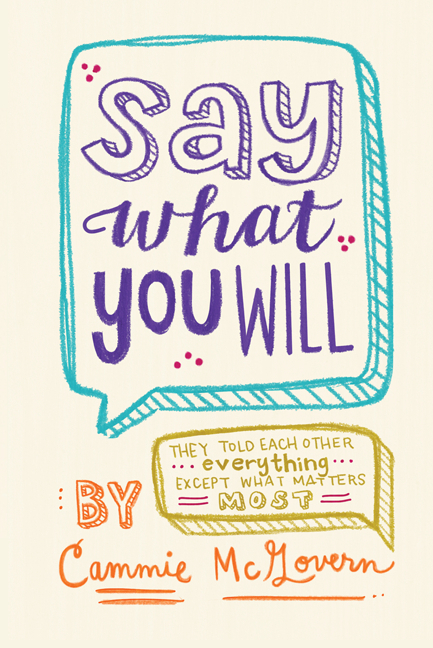 Musing is the brainchild of author and bookstore owner Ann Patchett and her staff at Parnassus Books in Nashville. I’m always happy when I see a new post from Musings in my in-box!